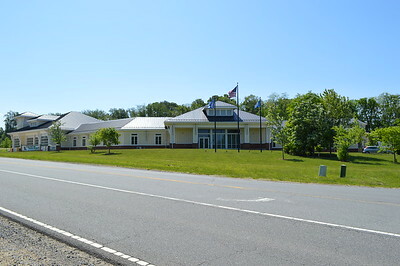 Purcellville Fire and Rescue (separate organizations) share the same facility. To the left is Fire Station 2. To the right, Purcellville Rescue Station 14. Photographed in May of 2015. 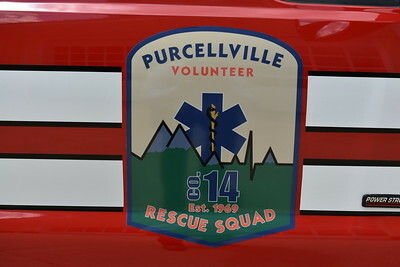 The Purcellville Volunteer Rescue Squad, Station 14, shares a station with the Purcellville Volunteer Fire Department. 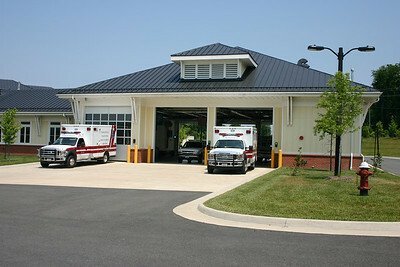 This is Station 14's side of the facility. 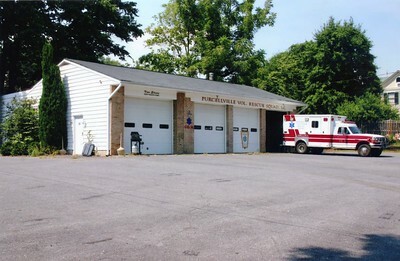 Purcellville Rescue's former station. Photographed in 2006. 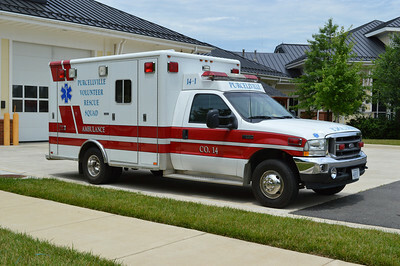 A variety of fire and rescue departments across the metropolitan D.C. area received Medical Care Support Units by a federal grant. 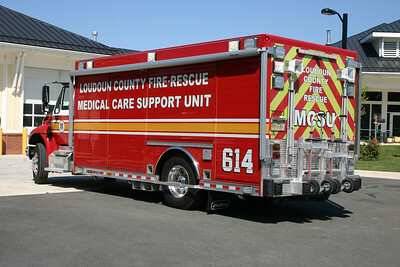 Loudoun County's MCSU 614 is housed at the Purcellville Volunteer Rescue Squad. It is a 2011 International 4400 with a body built by Hackney. The back end of MCSU 614. Note the two hand carts mounted on the rear to assist with moving equipment from the truck. 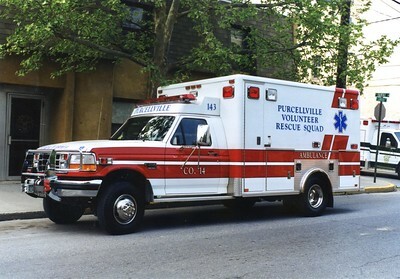 Purcellville Volunteer Rescue Squad - Purcellville, Virginia in Loudoun County. 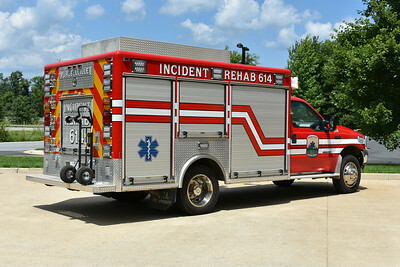 Incident Rehab 614 is a 1999 Ford F550/2000 LSI/2018 Apparatus Solutions Emergency Vehicle Outfitters. Equipped with tents, seats, cooling fans, beverage/snacks, and basic medical supplies. It is not a canteen unit. 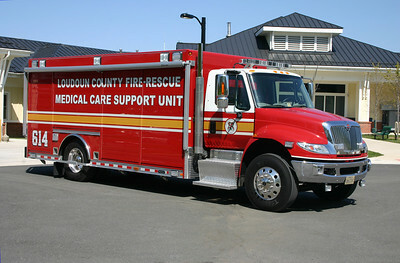 Originally delivered to Philomont, Virginia in Loudoun County where it ran as Unit 8. In 2017, it was sold to Purcellville VRS. Work in 2018 by Apparatus Solutions included graphics, scene/warning lights, shelve work, hand truck holder, and storage for small propane bottles. Unit 608 (now Light and Air 608) is Philomont's equipment truck that carries a variety of tools and equipment including a light tower, air cascade, extrication tools, etc. 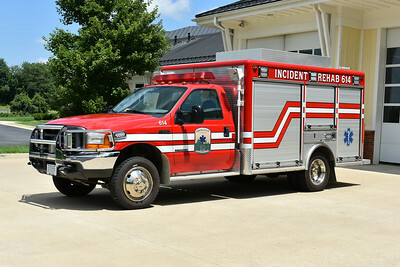 It is a 1999 Ford F550 that was built by nearby LSI (located in Purcellville) with a 10' box. 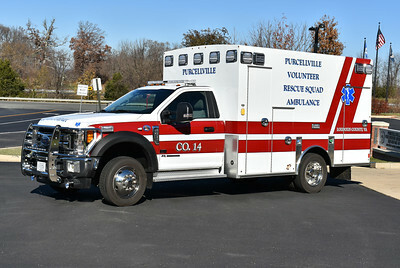 Purchased by the Purcellville Rescue Squad in 2017. 614B from Purcellville, VA VRS is this 2017 Ford F450 4x4/Braun Express. Three Ford F ambulances/Horton ambulances and several Chevrolet EMS chase vehicles make up the roster at Station 14. 614-2 is a 2009 Ford F450/Horton. 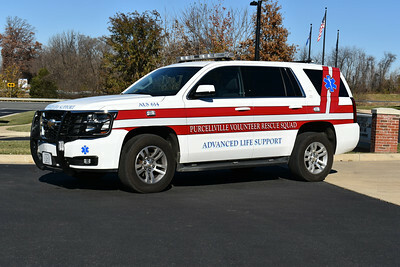 Purcellville VRS ALS 614, a 2015 Chevrolet Tahoe/Fastlane. 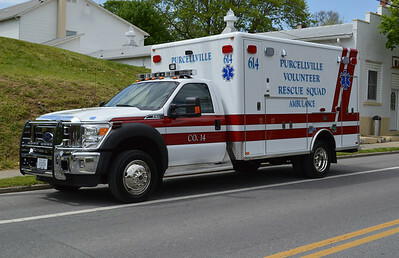 Purcellville's rescue squad "14-1" photographed out on the back ramp of Station 14 not long after the department received a brand new 2014 Ford F/Horton. 14-1 is a 2002 Ford F350/Horton. 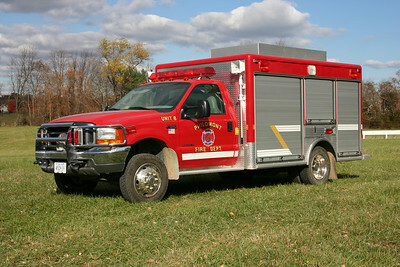 Former Ambulance 14-3, a 1996 Ford F-350/Horton. 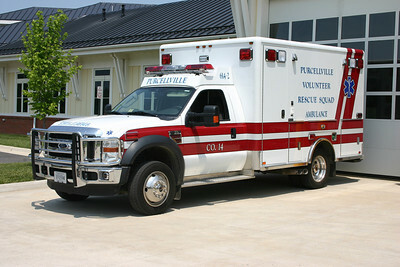 One of two EMS response vehicle's at Purcellville Rescue. 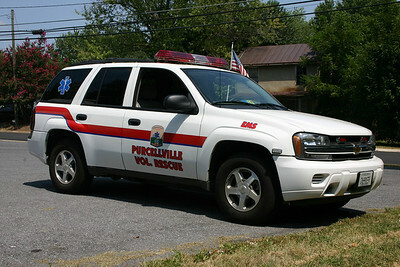 EMS 614 is a 2005 Chevrolet Tahoe.